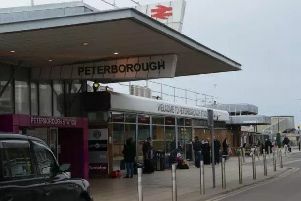 There are major delays to traffic throughout Peterborough City Centre today due to roadworks. One lane is closed on Bourges Boulevard from Rivergate to Queensgate a traffic is backing up in both directions as well as on surrounding routes. Stagecoach bus services 1,3,5 and 6 are also facing severe delays as a result. The works are being carried out to allow repairs to be made on a crash barrier. The lane closure is expected to be lifted this afternoon.